Indian cemetery, hoping that, this time, things will be different. But, can the dead really return? Answer from Directors Kevin Kolsch and Dennis Widmyer: With them, it was all just playing—like it’s a game. They thought it was a game and had a great time. With actors as good as John Lithgow and Jason Clarke, you can rest assured that they will do a good job and the young co-stars also turn in solid work. I re-viewed the original film; the acting is far superior in this one, with the possible exception of Fred Gwynne as neighbor Jud Crandall, the part played by John Lithgow in 2019. 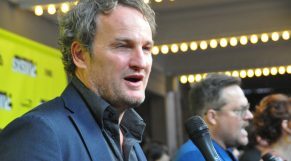 Jason Clarke and Jete Laurence, (Louis & Ellie Creed) on the “Pet Sematary” Red Carpet at SXSW. (Photo by Connie Wilson). The set that represented the pet cemetery was well done, although you really had to wonder how the actors could climb the wall of sticks and brambles without fear of injury. There was a similarity between the 1989 and 2019 sets, although there was more of a cliff setting in the original film. (As well as Stephen King playing a minister in one brief cameo). The end of the film will leave you pondering. There are endings that provoke thought; this is one of them. What will become of this family? Filming on “Pet Sematary,” with Director Kevin Kolsch, John Lithgow, and Director Dennis Widmyer. (SXSW Press Photo). While the music was good, it might have been relied on a bit too heavily for “jump” scares, at times. Some things that were used in the original film, such as a “ghost” person speaking about “the barrier,” voice-overs, and the crippled sister of the Rachel character were used again. Rachel’s sister in the original actually resembled a male more than a female. She is equally horrible in the remake, but there is a dumb-waiter brought into play that is ingeniously used. The heavy fog was so thick that it made me think of the Academy Award of 1971 when the theme from “Shaft” was played (as a nominated song) and the performer singing it (Isaac Hayes) completely disappeared under the onslaught. There was also a lot of graphic violence during the last one-half hour. Audiences today may demand that. I always admired the Hitchcock touch. Hitchcock gave the impression of a knife being used to dispatch Janet Leigh in the classic “Psycho” shower scene, but, through clever manipulation, the knife never really is shown being plunged deep into the victim. 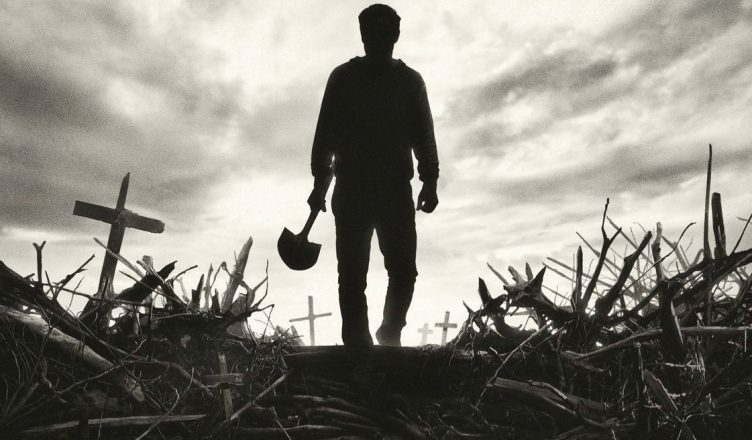 Expect some graphic knife-plunging violence with this adaptation. In baseball terminology, while not a home run, this was a double or a triple, buoyed by the fine acting of the cast. As genre horror movies go, this one is superior to most. It’s no “A Quiet Place,” but, to use baseball metaphors, if not a home run, it’s at least a solid double or triple. Twins Hugo (L) & Lucas Lavoie play Gage Creed in “Pet Sematary.” (Photo by Connie Wilson). 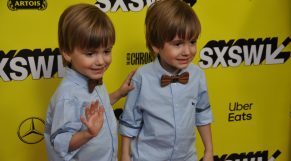 Filming on “Pet Sematary.” (SXSW Press Photo). Amy Seimetz (Rachel Creed) and Louis Creed (Jason Clarke) on the Red Carpet for “Pet Sematary” at SXSW. (Photo by Connie Wilson). 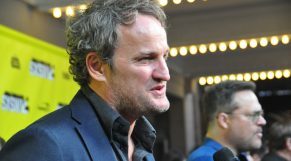 Jason Clarke on Red Carpet at SXSW for “Pet Sematary.” (Photo by Connie Wilson). 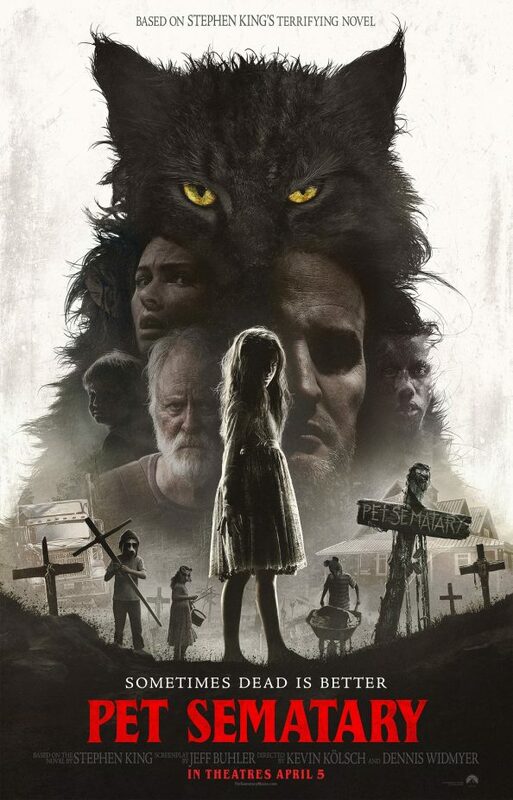 “Pet Sematary” star Jason Clarke. (Photo by Connie Wilson). Writers: Based on the Stephen King 1983 novel.